How to submit your availability? The objective of this tutorial is to help you understand how to submit your availability. Click the hour you want to set as unavailable or click and drag your mouse cursor to select/deselect multiple hours. There are two ways to set availability. Click the Arrow Icon - Click Availability as shown in Image 3. Step 1: Click on the arrow icon as shown in Image 1. Step 2: Click on 'Availability' as shown in Image 2. 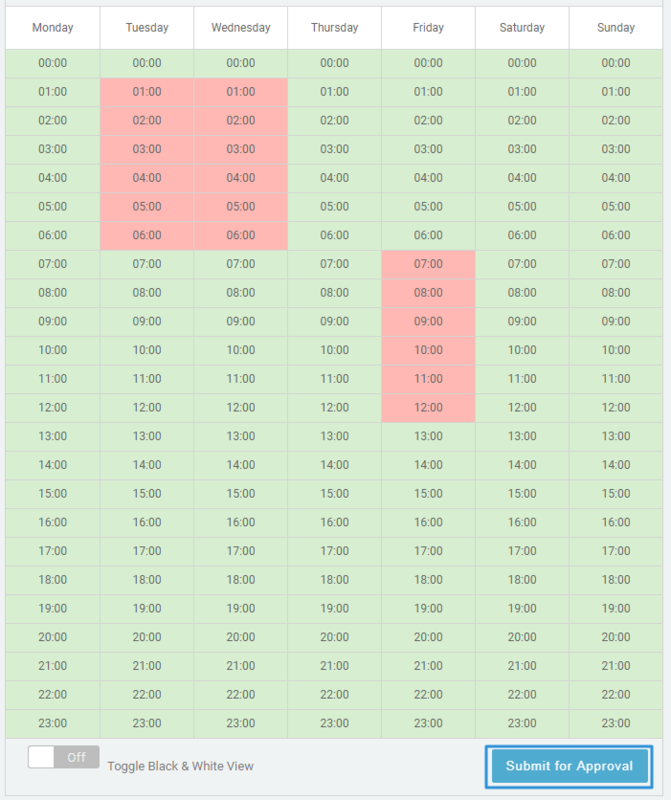 Step 3: Set your availability by clicking and dragging the mouse as shown in Image 3. Step 4: Click 'Submit' for Approval' as shown in Image 4. 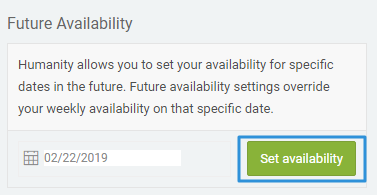 Step 3: Click 'Add New Date' as shown in Image 3 and select the date you want to set the availability for. Step 4: Click 'Set Availability' as shown in Image 4. Step 5: Click the pencil icon as shown in Image 5. 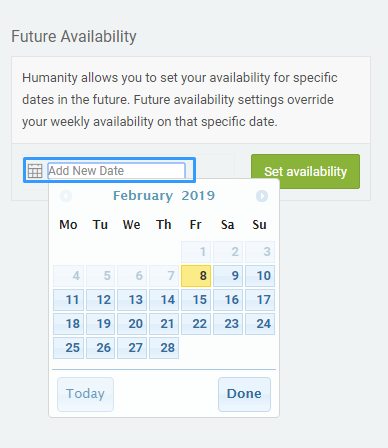 Step 6: Set the availability by clicking and dragging the mouse for the timeline you wish to set and click 'Ok' as shown in Image 6.